The church stands at crossroads today. Only until recently, has there been such a wave of Christians seeking to know more about their Hebraic Roots. God is doing something! We hope that you will enjoy this teaching and may our Lord fill you with a desire to never be satisfied until you have found the truth in His precious Word. We can see in the Book of Acts that the church started out in perfect unity and with its "Hebraic Roots" (Acts 2:42-47; 4:32-35; 5:12-16). Sadly in the Scriptures we can also see that in the end the entire church will not become united. We must not be content with a superficial reading to a chapter or two only in the New Testament ...but with the candle of the Spirit we must deliberately seek out the hidden meaning of the whole Word! We cannot neglect the ‘Old’ Testament as no man who merely skims the Book of God can profit thereby; we must dig and mine until we obtain the hidden treasure. The door of the Word only opens to the key of diligence. The Scriptures claim searching! Always remember that in the ‘Old’ the ‘New’ is concealed and at an appointed time will be revealed ... For the Lord Jehovah will do nothing unless He reveals His secret to His servants the prophets,Amos 3:7. One Decision – Two Outcomes! In the Book of Ruth you see that there are two decisions clearly described prophetically through the two Moabite women, Orpah and Ruth. Though they were of Gentile origin, both had been married into the people of God through the family line of Elimelech and Naomi from Bethlehem in Judah …But the two sisters-in-law acted very differently! The name Orpah comes from a Hebrew word that means "neck"… In the end Orpah turned her neck towards her Jewish mother-in-law and forsook her. The name Ruth, on the other hand, comes from a Hebrew word that means "faithful friend"… In today's Hebrew - this word is used about “comrades” in arms in the Israeli Army. Every Israeli soldier is taught this word as one of the foundational principles. They are trained to act in combat like a "reut," someone who will never forsake another soldier in battle. Regardless of what happens, or what they think about the other person, whether they like them or not, in the army they are "reut" and will stay together until death. As opposed to Orpah, this is what Ruth did to Naomi. She said to her bitter, unbelieving mother in law… "Don't urge me to leave you or to turn back from you. Where you go I will go, and where you stay I will stay. Your people will be my people and your God my God. Where you die I will die, and there I will be buried. May the LORD deal with me, be it ever so severely, if anything but death separates you and me." As a result of this self-sacrificing faithfulness Ruth became the bride of "the kinsman redeemer" – Boaz …and the great grandmother of King David! She saved the Messianic linear genealogy. 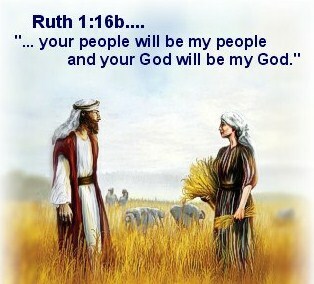 Israel and the entire world stand forever in debt to Ruth's faith! Like Ruth this is what the church has been called to do in this hour… the church that will become the Bride of Christ. Orpah, who started out with the same faith as Ruth, acted in unbelief and selfishness …and is never heard of again! Like Ruth we are called to go with "Naomi" - to the Jewish people and especially as they return to their Land and their destiny, in order to bring the Messiah Yeshua (Jesus) back to Jerusalem. Paul wrote with deep love for his brethren in the book of; Romans 9:1-4, "I speak the truth in Christ — I am not lying, my conscience confirms it in the Holy Spirit— I have great sorrow and unceasing anguish in my heart. For I could wish that I myself were cursed and cut off from Christ for the sake of my brothers, those of my own race, the people of Israel. Theirs is the adoption as sons; theirs the divine glory, the covenants, the receiving of the law, the temple worship and the promises." Ruth had this same apostolic burden and revelation and she understood that the promises belong to Israel and she acted accordingly! Paul explains in Ephesians 3:6 that through the Gospel - the Gentiles are heirs together with Israel to the promises of God. And in Romans 15:8 he wrote, "For I tell you that Christ has become a servant of the Jews on behalf of God's truth, to confirm the promises made to the patriarchs." The promises will be fulfilled to the Jewish people. This is why he continues in verse 10, "Again, it says, 'Rejoice, O Gentiles, with his people." This is a quote from Deuteronomy 32:43 which says, "Rejoice, O nations, with his people, for he will avenge the blood of his servants; he will take vengeance on his enemies and make atonement for his land and people." There is NO future or destiny for the church apart from Israel! Please! …Please know that this is the calling of the Bride of Messiah in this hour and this generation! The church is called to go together with Israel into the promises of God. Like Ruth we know with certainty that in the end God "will avenge the blood of his servants; he will take vengeance on his enemies and make atonement for HIS land and people." Let us take heart and never stop praying day and night for Israel's restoration even though it does not happen right away! The reason that so many powerful miracles happened in the exodus from Egypt was because the children of Israel had prayed and cried out to God for deliverance for 400 years, Exodus 3:7-10. The Messiah WILL come back to Jerusalem and we want to enter into the kingdom together with His people, and we shall indeed rejoice together with them. Orpah is a representative of the church that seeks its destiny and future apart from God's covenant people Israel. Naomi told both Orpah and Ruth to leave her because she was also blind to the truth of the Gospel that has joined us together as one in the Messiah. Because of Naomi's unbelief Orpah saw no reason to stick together with her mother-in-law and she eventually returned "back to her people and her gods." What tragedy of spiritual blindness and pride! 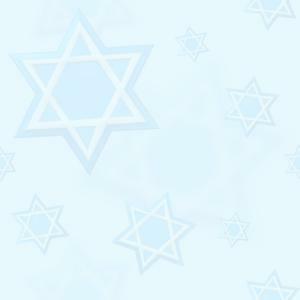 "Let us then have nothing in common with the most hostile mob of the Jews. We have received another method from our Savior. A more lawful and proper course is open to our most holy religion. In pursuing this course with a unanimous consent, let us withdraw ourselves, my much honored brethren, from that most detestable fellowship. But if what I have said should not be thought sufficient, it belongs to your ready discernment, both by diligence and prayer, to use every means, that the purity of your minds may not be affected by conformity in any thing with the customs of the vilest of mankind. …As it is necessary that this fault should be so amended that we may have nothing in common with the usage of these parricides and murderers of our Lord; …and to have no fellowship with the perjury of the Jews. …May God preserve you, my beloved brethren." We see in these words a description of Orpah kissing Naomi goodbye. And yet Paul had so clearly warned in… Romans 11:25 -26, "I do not want you to be ignorant of this mystery, brothers, so that you may not be conceited: Israel has experienced a hardening in part until the full number of the Gentiles has come in. And so all Israel will be saved." Here we can see that Israel's hardening or blindness is only partial and temporary. When the church is ignorant of the mystery of Israel's partial and temporary blindness, she becomes conceited! Conceit: is defined in Merriam-Webster Online Dictionary as an "excessive appreciation of one's own worth or virtue." It is hard to find a more fitting description of the church's attitude after Constantine, especially in regards to the Jewish people. Today even many church leaders and pastors, who are supportive of Israel, still have a good dose of this conceit. This was not the attitude of Ruth towards her unbelieving mother-in-law… She understood that despite Naomi's unbelief, she was the one who had the promises and she took a serving attitude towards Naomi. The beauty of this story is that Ruth could never have entered into her destiny without Naomi ...neither could Naomi enter into hers without Ruth. But the order was important! "As far as the gospel is concerned, they are enemies on your account; but as far as election is concerned, they are loved on account of the patriarchs, for God's gifts and his call are irrevocable. Just as you who were at one time disobedient to God have now received mercy as a result of their disobedience, so they too have now become disobedient in order that they too may now receive mercy as a result of God’s mercy to you." In the End Times the Jewish people will once again be the key to the church's final reformation and restoration! Ruth began to faithfully serve her mother-in- law, blessing Naomi with the fruit from her hard labor in the harvest fields. Through God's favor and mercy upon Ruth, which she received because of her faithfulness to her mother-in-law (see Ruth 2:10-12). Naomi eventually was brought back to a living faith. 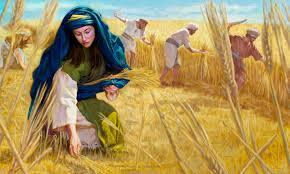 "So Ruth stayed …to glean until the barley and wheat harvests were finished. And she lived with her mother-in-law." (Ruth 2:23) She was faithful and served her mother-in-law until the harvest had been reaped. Immediately in the next verse, the roles change and Naomi begins to take the initiative. 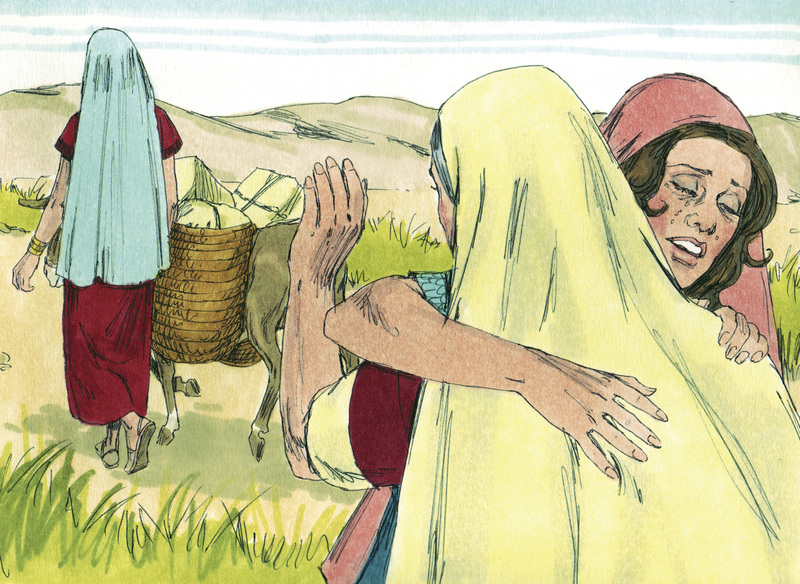 She has come back to faith through Ruth's friendship and mercy. We can see in this beautiful story the fulfillment of Romans 11:25-26, "Israel has experienced a hardening in part until the full number of the Gentiles has come in. And so all Israel will be saved." From the beginning the Gentiles received the gospel from the Jewish people, and in the end times the Jewish people will once again be the key to the church's final reformation and restoration to become the Bride prepared for the Messiah. "Let us rejoice and be glad and give him glory! For the wedding of the Lamb has come; and his bride has made herself ready. Fine linen, bright and clean, was given her to wear." (Fine linen stands for the righteous acts of the Saints.) (Revelation 19:7-8). 3. About the Bride of Messiah, the church and Israel joined together, so that the King can take up his throne in Jerusalem. "For everything that was written in the past was written to teach us, so that through endurance, and the encouragement of the Scriptures we might have hope," Romans 15:4. "Now these things happened to them as an example, and they were written for our instruction, upon whom the ends of the ages have come," 1 Corinthians 10:11. Paul wrote in - 2 Corinthians 11:2; "I am jealous for you with a godly jealousy. I promised you to one husband, to Christ, so that I might present you as a pure virgin to him." We must enter into this apostolic burden for the church in this hour through prayer and intercession with tears and travail as the final, apostolic reformation is upon us… Just like it was with Orpah and Ruth when Naomi began to return to Bethlehem, it is the same today when the Jewish people are returning to their own land just S God promised us in His Word – The Bible. The church is standing at a major crossroad: The choice is between going the way of Orpah…? Or, going the way of Ruth…? Will the church go the way of unselfishness, humility and submission to God's plan, pay back her debt to the Jewish people and be restored to become the beautiful Bride of Messiah…? Or will the church continue in the way of independence, pride and conceit…? As Christians, we are all called to support the Nation of Israel. In Genesis 12:3, the Lord promises to… "Bless those who bless you (Israel) and whoever curses you I will curse," Genesis 12:3. And, Psalm 122 instructs us to pray for the peace of Jerusalem!" At this crucial time in history, Israel needs believers who are willing to stand with her for unfailing strength, Godly wisdom and strong leaders who will uphold the purposes and plans of God. Alf and Julie Saunders and the Pray4Zion Team and Partners have answered this call. You’re invited to join in answering the call, too! Let your voice and support be heard by, STANDING for Israel in Prayer and financially supporting this ministry. Together we can make the difference. Together, we can honor the Lord by honoring the Nation of Israel. We will be SILENT no more!